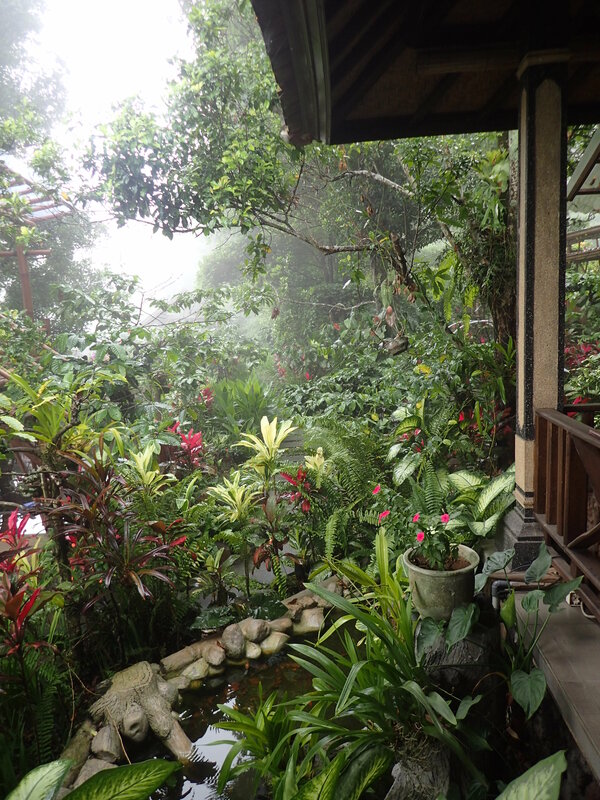 Dense greenery of jungle plants punctuated by red leaves and red flowers in a misty garden. The edge of a wooden covered terrace is on the right and a pool for aquatic plants is at the bottom. The stone-paved path disappears in the back into the dense mist and plants.